With this product, you earn 11161 BIG TIME point(s). Be fashionable and sporty with Charlie Sutcliffe's cool digital watch! 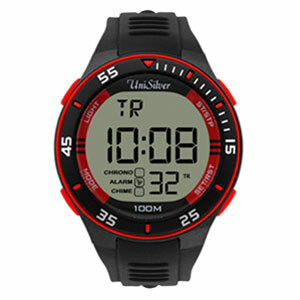 It features a large dial with easy to read LCD and an ergonomically-designed rubber strap. It's a great accessory to complete your casual or athletic get up.